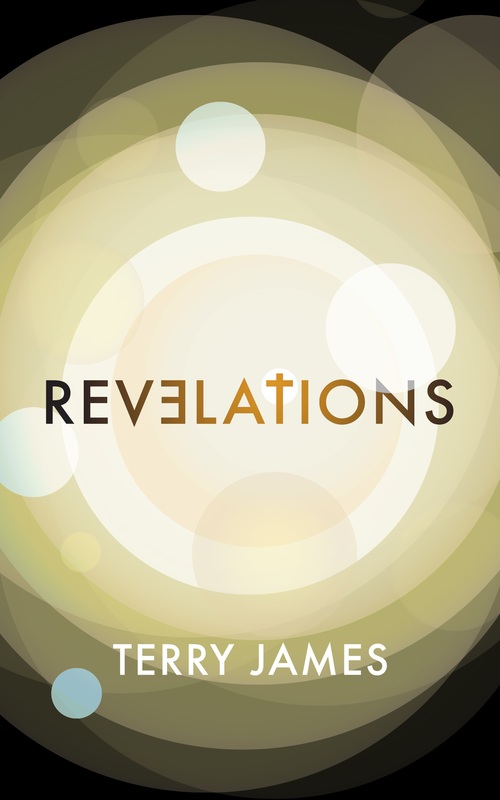 Terry James novel is on sale at Amazon at a tremendously low price. Only $7.99 for a book of more than 300 pages! Below is the opening of the story that is based in facts from Bible prophecy. God’s prophetic Word continues to unfold at a phenomenal pace. This novel reflects Truth as it might scroll across our news and social media headlines over the days, weeks and months just ahead. We hope you will read, then write an Amazon review of this story –a book that presents prophetic truth from uniquely entertaining perspective that we believe will rivet your attention to its pages. His journalism professor’s words echoed in his thoughts while Tyce Greyson checked his camera. “News media types rate below politicians,” the remembered words continued. Melodious, Middle Eastern chants in the late afternoon brought an eerie sense of not belonging. Greyson felt far out of his element, even though he had, during the last three of his twenty-seven years on the planet, occasionally covered stories in Jerusalem as an independent journalist. His next job was already a done deal. He would work as a staff reporter for a Little Rock, Arkansas, television station. This would be the last such assignment as an independent writer he would undertake for the foreseeable future. He approached the Western Wall—the so-called Wailing Wall. He wanted to get as many shots as possible while the sunlight remained. The piece would be written for a Jewish magazine based in Washington, D.C. He was anxious to get the job done and eventually fly back to New York, then into HillBilly Airport, as those of his circle called the Little Rock airport named after Hillary and Bill Clinton. “Maybe we are out of touch with our audiences like they say. Maybe that’s why the low rating,” he considered. He took several quick shots of people in Mid-Eastern garb and let the thought drop. Greyson entered a crowded area of worshippers. He angled for the one spot he saw that afforded the least-restricted camera view of the holiest worship site in Judaism. When the worshippers began crowding around him, the view of the wall became blocked. He cursed beneath his breath and held the camera above his head to keep it from being bumped. The worshippers advanced, and he turned sideways to escape the milling swarm. Finally, he found himself free and was pleased to have a better view of the wall than before. Greyson took a number of shots while moving around the newly found open area. He checked each photo before taking another series of shots. He began studying the last of the photographs, his attention disrupted when he was touched by a hand on his left arm. He looked at the shorter man, whose eyes were wide and glistening in the late afternoon sunlight that slanted from the horizon. The man lifted himself on tiptoes to get to a point nearer the taller younger man’s face. His aged, bearded face beneath the kippah he wore projected extreme urgency. He spoke in heavily accented English. “Israel is the sign,” he said in a near whisper. The eyes seemed to thrust the words into Greyson’s brain with laser-like intensity. “Israel is the sign,” the man repeated in a whisper, but with more passion. After a moment of glaring, the religiously robed man shuffled to a few feet away. He turned to again look into Greyson’s puzzled expression. This time, his words thundered into the journalist’s thoughts. “Israel is the sign of the end. I’ve been blind for decades due to a hereditary retinal disease called retinitis pigmentosa. My occupation is that of a writer. Public relations in corporate settings was my work until the blindness became total. Books dealing with dark, mysterious themes became my passion once the disease took my eyesight completely. Foretelling of things to come has dominated my writing life, tugging my creative juices in directions I neither can nor want to control. That is all held in the hands of a higher power. There’s nothing that can change the truth of that reality, and I wouldn’t want it changed if there was a way. Proof of the control of this higher power—to me at least—came on a Good Friday. My heart stopped and I was suddenly confronted by an otherworldly gallery of young, jubilant beings. They were human in appearance but exuded unearthly, I guess you would say “ethereal,” even “heavenly,” radiance. They were beckoning. They wanted me be to become a part of them—to tell me their astonishing, secret things. Their allurement was mesmerizing. But, everything faded to black and I was again under the human hands of the physicians. They frantically worked to keep me among the living. The doctors said it had been the “widow maker.” They were amazed that I lived, since my heart had stopped three times to be restarted each time by defibrillation paddles. Thoughts of that dynamic throng of young, glowing beings and what it all meant kept me up into the early morning hours for months. Answers began to trickle into my understanding one Friday morning nearly a year later. The interview for my latest book had been hastily arranged by the publicist for my publisher. I stuck my hand out to shake the reporter’s hand when he was ushered into my study. “It’s great to meet you, sir,” he said, then introduced me to the camera operator who had come with him. Being unable to see his action, I presumed he held up the copy of the book about which we had just interviewed. “Oh? So you’ve become interested?” I probed. “It’s Revelation…singular, not plural,” I instructed. “Lots make the mistake,” I comforted. “Revelation, not Revelations. I’ll have to remember that,” he said, chuckling. My question unleashed thoughts that obviously he had kept bottled within. He did so, then turned his thoughts back to where he left off. A moment of silence caused us both to reflect upon the words. “Yeah. I guess that what has poked at my curiosity about all this prophecy business,” he said after a moment of considering my question. “Where do you think your…curiosity…is taking you?” I asked. We each awaited the other’s next words. He spoke finally. “You’ll do fine,” I said, not really knowing anything much about his business except that I viewed all mainstream media with a high degree of skepticism. “Wish I shared your confidence,” he said. I started to give my opinion on mainstream news media, but held my tongue. Again there was a pause before he spoke. When the young reporter left my study with a handshake and my well wishes, I sensed in my core being something profoundly spiritual pass between us. I envied the future toward which he was moving. It was like the torch being passed. There was no way of knowing that torch would be coming back my way. By Terry James in Book Promotion on July 9, 2018 . I just finished reading Revelations. I would recoommend this book to everyone. Lots of intrigue. Lots of intrigue. Fast read. All I can say Terry … You have done it again to the Glory of our Lord Jesus Christ. I wrote my review on Amazon and gave your book five stars.